Amidst heightened media coverage of cyberbullying, and a quickly spreading YouTube series of videos called It Gets Better, which depicts personal accounts of harassment and support for gays and lesbians (including a message from President Barack Obama himself), the Department of Education sent a 10-page letter to schools reminding them of their responsibilities to protect students and prevent harassment. “I am writing to remind you that some student misconduct that falls under a school’s anti-bullying policy also may trigger responsibilities under one or more of the federal anti-discrimination laws,” says the letter, signed by Russlynn H. Ali, assistant secretary for civil rights. 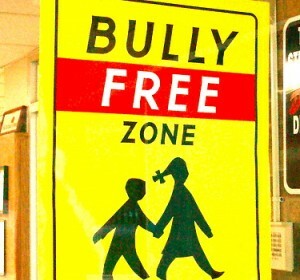 Compared with personal bullying in the hallways of schools and campuses, cyberbullying can escalate much more swiftly (in the form of mass texts, emails, and public social-network profiles), and can happen under the radar of school officials. To that end, here's a report from contributor Katie Stansberry on how educators can help. In the last few weeks there have been several high-profile news reports about young people taking dramatic steps to escape bullying. In many of these cases, the victims have been targeted because of their sexual preference. I grew up in a small town in upstate New York, where I attended local public schools. When I was in middle school, my closest friend was gay. He chose to transfer to a private high school focused on music and performance arts rather than face another four years in a community where “gay” was a common insult and “fag” was often heard in the hallways and on the playing fields. I graduated in as part of the class of 1999 along with about 150 other seniors. As far as I know, not one person in my class openly identified as gay, lesbian, bisexual, or transgender. In recognition of the many young people who face monumental challenges as they traverse that difficult transition from childhood to adulthood, I’ve collected some resources on bullying that address both face-to-face and cyberbullying. As educators, we can help encourage tolerant behavior by modeling empathy and support for all students. Please take a moment to check out the resources below, because no child should be afraid to go to school. “Bullying Online and at School” e-book by the Bullying Information Center. Stop Bullying Now! : A fun, interactive site for kids and adults with games, tip sheets and short video clips on the issue of bullying. The site is maintained by the U.S. Health Resources & Services Administration. Stop Cyberbullying: An extremely informative website on preventing cyberbullying written by the online privacy lawyer Parry Aftab. Cyberbullying: Extensive information for educators, teens and parents on the phenomenon of online bullying produced by the National Crime Prevention Council. ItGetsBetter: Started by newspaper columnist Dan Savage, the ItGetsBetter project is a series of videos to provide support and encouragement to gay teens who face adversity, discrimination and bullying. Celebrities who have submitted videos include Neil Patrick, Harris, La La Vasquez and Ciara, members of the cast of Wicked, Ellen DeGeneres, Kathy Griffin, Ke$ha, Sarah Silverman, Jason Derulo, Tim Gunn and Perez Hilton. Cyberbullying: What Schools Can Do To Stop It. A comprehensive list of tactics, such as teaching students to be cyber-savvy, combining anti-bullying education and character development with discipline, establishing guidelines of recourse, and reporting all cases of bullying to supervisors and law enforcement when necessary.